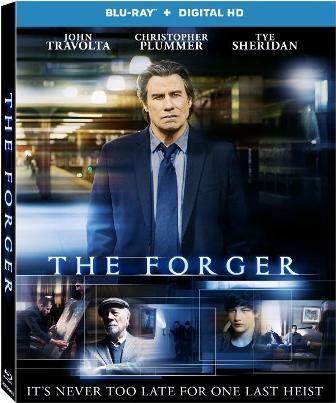 Not much needs to be said about the new John Travolta film, The Forger. Director Philip Martin has made a super-dull film about a professional fine art forger whose son is dying of cancer. 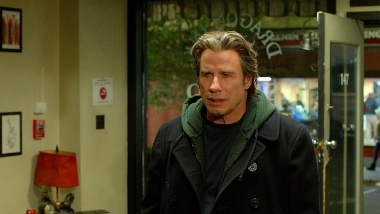 Travolta offers a sturdy performance as the imprisoned title character, Raymond Cutter. Ray’s burning to get out of prison in order to spend some time with son Will (Tye Sheridan) before it’s too late. Strings are pulled and Raymond is freed with less than a year remaining on his sentence. Perhaps if director Martin had developed the strained relationship between Ray and Will to a greater degree, The Forger might’ve had more emotional heft. Three generations are involved, with Christopher Plummer chipping in a gruffly amiable performance as Ray’s father Joseph. We see Will’s hesitance regarding committing to rebuilding his deeply damaged relationship with his father. Both father and grandfather attempt to help Will scratch “virgin” off his resume before he meets his demise. But as Ray sinks deeper into the world of crime, having agreed to forge a priceless work by Monet, the film slows to a patience-trying pace. Even at 92 minutes, this thing is a slog. There’s just too many “one last heist” clichés on display here. And Travolta looks too ‘put together,’ too snazzy with his seemingly sculpted face and overly obvious hairpiece, to be truly convincing as a bottom-feeding con. He looks slender, but a bit cartoonish; a caricature of himself. Perhaps a grimier, grittier physical appearance would’ve improved the realism factor. Plummer injects a bit of sly humor in his underwritten role, which breaks up the dour monotony. But in the end it’s hard to fathom what these heavyweight actors saw in the project to begin with. Lionsgate’s Blu-ray rates high on the technical front, with a great transfer of veteran cinematographer John Bailey’s sleek work and a lossless DTS-HD Master Audio 5.1 soundtrack. However, they dropped the ball in terms of providing interesting extras, with a seven-minute promotional featurette (“Identifying The Forger: Creating Character and Conflict”) being the only bonus.